The main building of the Rockanje school has six toilets, which are mainly used by teachers. The Technical Youth Centre has two toilets that can be used by the teachers as well as the students. For the other students there used to be a wall behind which they could do their needs, placed close to the entrance of the school. That was not really hygienic, because the urine flowed along a ditch onto the public road. Moreover, Parents and Teachers Association of the school (PTA) had taken the initiative to place a kitchen on that spot, where the lunch for the children would be prepared. It was therefore highly urgent to do something about this situation. In 2000 a plan and a budget was made to build a toilet block. The costs were estimated at € 4.500, - In the Netherlands, in May 2001, the family J. Tolhurst initiated the campaign "Hoge nood in Ghana" in the town Brielle. It brought in the nice amount of € 2.456.63. This amount was doubled by the foundation "Wilde Ganzen" in Hilversum. 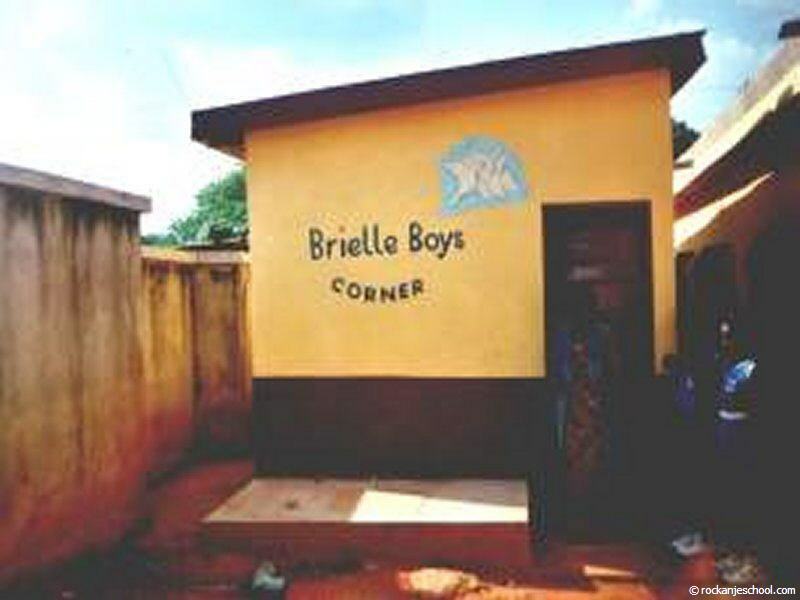 Consequently, the construction of the toilet blocks could be started in the same year. The building has 10 toilets in total: five for the boys and five for the girls. The toilets are cemented in the ground and the toilet seat is attached. Each toilet has a door with a handle on the outside and a hook on the inside. Across the toilets another four sinks were placed and the two corner toilets now also each have a sink (6 in total). As a result, the children can wash their hands after using the toilet. At the rear of the building a tap with a hose was also placed, so we can keep the building clean with it. On the two sides of the building the logo of “De Wilde Ganzen’’ was painted. 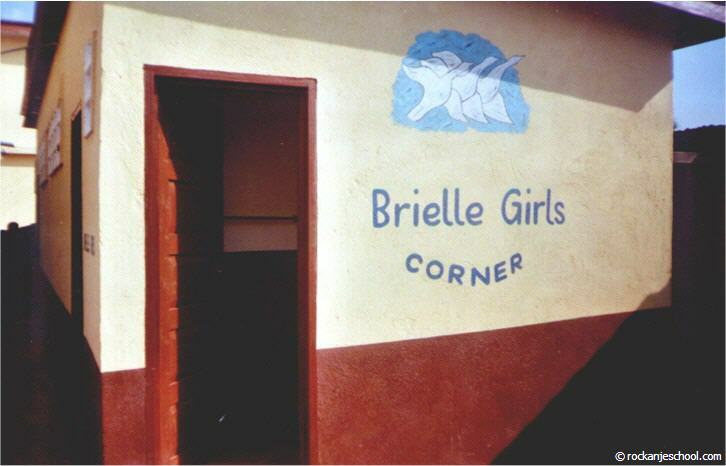 On the boys’ side the words "Brielle Corner Boys’' were painted below the logo and on the girls’ side the words " Brielle Girls Corner ". They did this to remind the children the "urgent need" at Rockanje school really is over now, thanks to the support and commitment of ‘’Wilde Ganzen’’ and the youth of Brielle.